Experience a variety of North Carolina mountain music and dance traditions including bluegrass, old-time, sacred music and clogging. Appalachian mountain music includes many instruments, styles and sounds. Often you can get up close to musicians at improptu jam sessions or concerts. And there are many opportunities to enjoy for free! 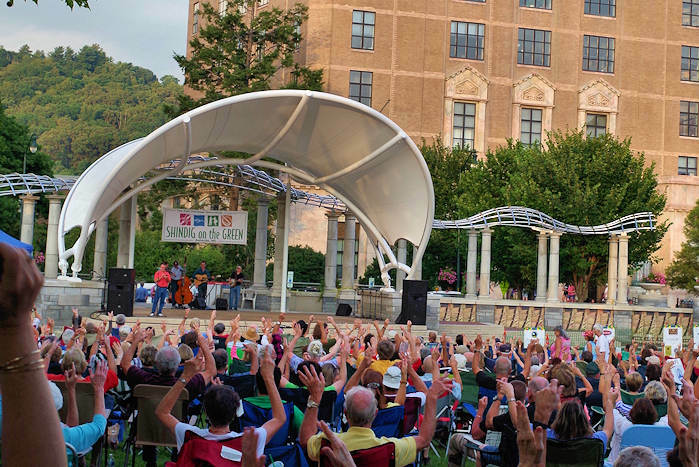 Shindig on the Green in downtown Asheville is our most favorite place to enjoy mountain music and dance, held outdoors in Pack Square Park on Saturday nights during the summer. 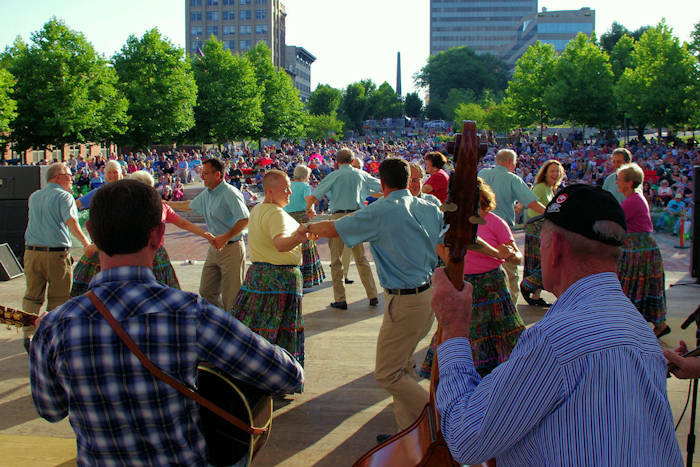 Enjoy musicians and cloggers on stage or walk around to various jam sessions. It's free. Mountain Dance and Folk Festival is held the first weekend in August. It is the oldest running folk festival in America, started in 1928 by Bascom Lamar Lunsford. In Marshall, there are two weekly events for local music: Thursday night jams at Zuma Coffee and Friday nights at Marshall Depot music and dancing. Throughout downtown Asheville, many street entertainers play varieties of bluegrass. And there are many restaurants and clubs with live music. Jack of the Wood in downtown Asheville (95 Patton Avenue) is a lively pub with a mix of bluegrass and Celtic music. Weekend live music starts at 9 PM with a minimal cover charge. They also host jam sessions throughout the week. On Sundays at 5 PM is the Irish Session, On the first and third Tuesday, Singer Songwriter in the Round series 7-9 PM. Wednesdays at 5 PM is their Old Time Mountain Music Jam and Thursday night is the highly popular Bluegrass jam, which starts around 7 PM. The Orchard at Altapass on the Blue Ridge Parkway has live mountain music on Wednesday through Sunday afternoons from May through September, and weekend afternoons in October. Many area street festivals feature local mountain music. See our Top 50 Summer Festivals for some ideas. The NC Bluegrass Festival is held each August in Marion and Morganton has a big bluegrass festival on July 4th weekend. Contra and Square Dances are held weekly and welcome visitors to watch and dance. Learn to play! The Swannanoa Gathering, held every summer in July and August on the campus of Warren Wilson College east of Asheville, is a series of week-long continuing education workshops in various folk arts, especially the musical traditions of Western North Carolina. Pick from 150 classes, with an open format that allows students to select from a variety of courses. Enrollment is limited, and the Gathering offers an intimate supportive community experience for students of all abilities. Feed & Seed in Fletcher (just south of Asheville) is a 100-year old store that now features live bluegrass, old-time and classic country music every Friday and Saturday night. The hall seats 160 and there's room for dancing and clogging. 3715 Hendersonville Road, Fletcher. Blue Ridge Old Time-Music Week is held for a week each June at Mars Hill University near Asheville, your skills will improve; you’ll learn new tunes, and visit with old friends and meet ones who share your passion for old time music. Students and music lovers of all ages and backgrounds, many of whom have attended the annual Blue Ridge Old Time Music Week for years, come together in this relaxed and supportive environment. The Bascom Lamar Lunsford "Minstrel of Appalachia" Festival is all-day event in October in Mars Hill celebrating regional music and dance traditions. It brings out the region’s finest musicians and dancers. Numerous music and dance performances, workshops, jam circles, and a ballad and story swap will occur throughout the day. The traditional evening concert will take place inside Moore Auditorium and will feature performances by ballad singers, dancers, and string bands. Mountain Heritage Day at Western North Carolina University is held in late September. It's a combination old-fashioned mountain fair and showcase for Southern Appalachian music, arts, dance and song. Find three stages of traditional old-time, gospel, and bluegrass music and dance, with plenty of clogging and fiddle and banjo music. Join in workshops at the Circle Tent and participate in shape-note singing, one of the mountains’ most sacred traditions. Admission and parking are free. Stop by the historic Rickman Store in Cowee for bluegrass jams on Saturday afternoons, late Spring-December. Young’s Mountain Music is every Saturday night in Spruce Pine with a crowd of 200 or more music and dance lovers who enjoy country‚ bluegrass‚ and gospel music. A series of bands play while dancers clog‚ buck dance‚ and two-step. Each band plays a twenty-to-thirty minute set. Visitors from all around the globe are accorded a heartfelt and warm welcome. 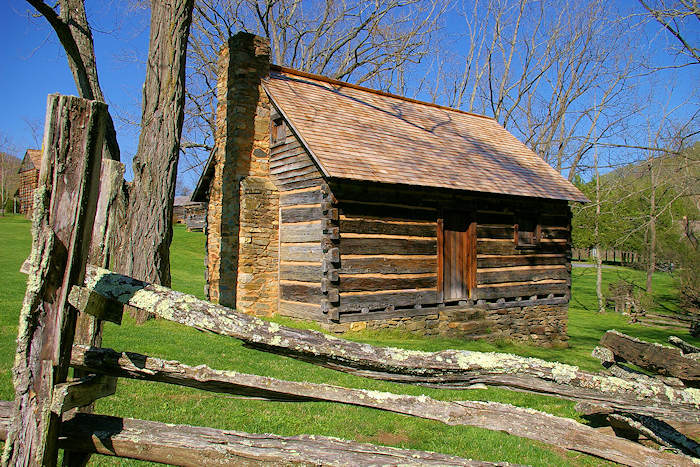 Heritage Weekend at the Folk Art Center on the Blue Ridge Parkway is held in September. This free festival sponsored by the Southern Highland Craft Guild features traditional music, dancing and heritage craft demonstrations. Second Sunday Dulcimer Jam Session at the Folk Art Center features old-time and other music. It is free and open to the public year-round, 2:30-5 PM. Monday Night Street Dance in Downtown Hendersonville held mid July through mid August. Silvermont Thursday Night Mountain Music Jam Session at the Silvermont Mansion in Brevard, every Thursday 7:30-10 PM. Musicians set up chairs in a large circle‚ and within the circle a single microphone is placed on a stand. The music ranges from bluegrass to old-time to country to gospel‚ and since the session is open to all‚ there is even an occasional jazz or classical player in the mix. 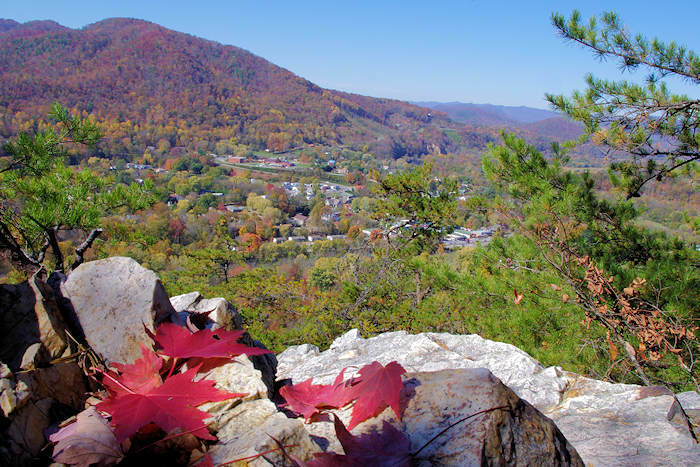 Mountain Song Festival is held in Brevard every September. Bluff Mountain Festival in June is a free, family-friendly festival, features traditional bluegrass music, ballads, clogging and square dance, and a silent auction and raffle in Hot Springs. Mountain Street Dances in downtown Waynesville each summer is an old-fashioned hoe down with live mountain music, demonstrations and instruction by local clogging teams. Stompin’ Ground in Maggie Valley has an enormous dance floor with a variety of Applachian and country dancing on Saturday nights‚ April through October. 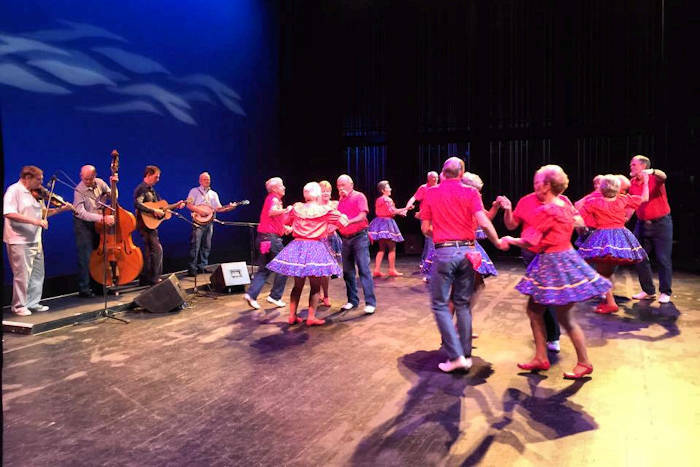 The Smoky Mountain Folk Festival is held in Lake Junaluska during Labor Day Weekend with two nights of the finest traditional Southern Appalachian music and dance. Christian Harmony Shape-Note Sing at Etowah Elementary School, twice a year (Saturday before first Sunday in May‚ Saturday before first Sunday in September) with a potluck. The church sing seating is arranged in a square‚ the most desirable configuration for four-part singing. Visitors are quite welcome to attend shape-note sings as listeners‚ but ideally they should come to sing along. The Liston B. Ramsey Center for Regional Studies at Mars Hill University houses archival resources for teaching and scholarship in its Southern Appalachian Archives and Appalachian Reading Room. Their extensive holdings—photographs, manuscripts, sound recordings, and artifacts—document aspects of mountain life and culture of interest to scholars here and abroad, holdings that have been called some of the finest in the southeastern region of the United States. The Blue Ridge Music Trails guidebook puts readers on the trail to discover the many sites in western North Carolina into the rich worlds of bluegrass, old-time, gospel, and string band music, as well as clogging, flatfooting, and other forms of traditional dance.